Defibrillator Monitor for adults, children and infants. The maximum discharge power – 200 Joules. The possibility of using disposable and reusable electrodes for defibrillation. 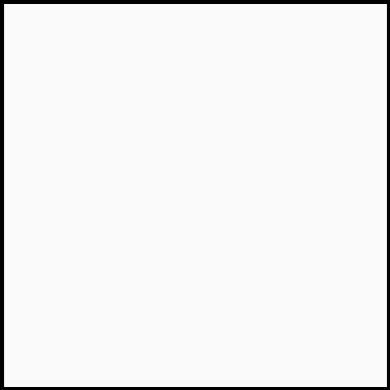 Universal reusable electrodes (for adults, children and infants). Defibrillator has the small size and weight in its class (310х249х195 mm), weight 5.2 kg. Built-in rechargeable battery (at least 130 bits with a maximum capacity of 200 Joules, or 150 minutes of continuous ECG monitoring). Manual defibrillation control mode and AED (automatic external defibrillation) control with the help of buttons on the body, or directly on the reusable electrodes. Defense mechanism to switch between modes. The device is certified for use during transporting patients by any means of transport (including aviation). It is possible to equip the defibrillator with a convenient transport bag. Semi-automatic defibrillator with AED function (Automatic External Defibrillation). The maximum discharge power – 200 Joules. 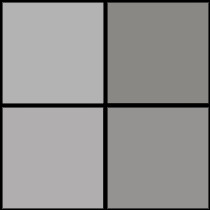 Biphasic technology. The ability to use disposable defibrillation electrodes. The process of connecting the electrodes to the patient, the accumulation of charge and, in fact, the discharge is accompanied by visuals (the display) and voice prompts in Russian. This minimizes the risk of incorrect positioning of the electrodes on the patient’s chest and disorders in defibrillation algorithm process. The defibrillator is equipped with a detachable, non-rechargeable battery. Rated for at least 300 bits at a maximum power of 200 Joules or 9 hours of continuous monitoring of cardiac activity. After discharging the battery can be easily replaced by a similar. It is possible to equip the machine with the software option which allows to record audio-trends (voice) while saving the data in the internal memory (up to 20 minutes in a complex with a synchronized graphic ECG recording). To transfer the image and audio data to a personal computer a special software DEAnalizer is used. Electrodes for defibrillation imposed on the patient simultaneously serve as electrodes for ECG (usually via a standard lead II). 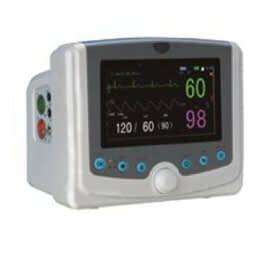 ECG waveform is displayed on the unit’s built-in LCD display, helping to accurately assess the effectiveness of patient discharge by the presence or absence of normal sinus rhythm. 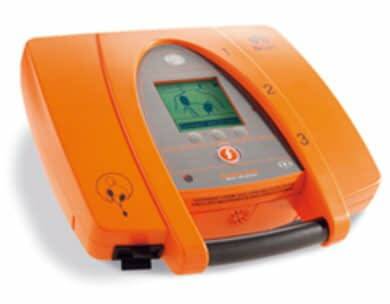 Defibrillator has small dimensions and weight (300х282х93 mm), 2.5 kg. The device is certified for use during transporting patients by any means of transport (including aviation). It is possible to equip the defibrillator with a convenient transport bag. Even in basic configuration the unit fully complies with full monitoring of vital parameters of the patient. Standard configuration includes: measurement of ECG with ST segment analysis and arrhythmia, pulse oximetry SpO2, temperature measurement, measurement of NIBP, pulse rate and respiratory rate. The package includes monitor accessories for all the abovementioned measurements. The user has the choice between two types of pulse oximetry: Nellvcor Oxi Max and BLT, retrofitting the monitor with the temperature measurement on the second channel and thermal printer. Offers a full range of sizes for NIBP cuff, as well as accessories for different types of monitor mount: on a trolley, wall console, the patient’s bed.r. 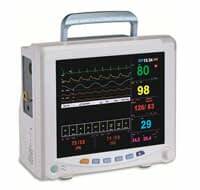 Dimensions 258х210х180 mm, weight 3.5 kg, built-in battery for 2.5 hours of continuous operation allow to use the monitor in hospital and during transportation of patients. The user can choose different types of measuring EtCO2 – Side Strem, Main Stream, Micro Stream. 2 options available measuring the concentration of anesthetic gases: Main Stream and Side Stream, both – with automatic identification of the measured anesthetic. The monitor measures the cardiac output (CO) in a non-invasive method (impedance cardiography). Offers a full range of sizes for NIBP cuff, as well as accessories for different types of monitor mount: on a trolley, wall console, the patient’s bed, built-in thermal printer. Even in basic configuration the unit fully complies with full monitoring of vital signs of the patient. 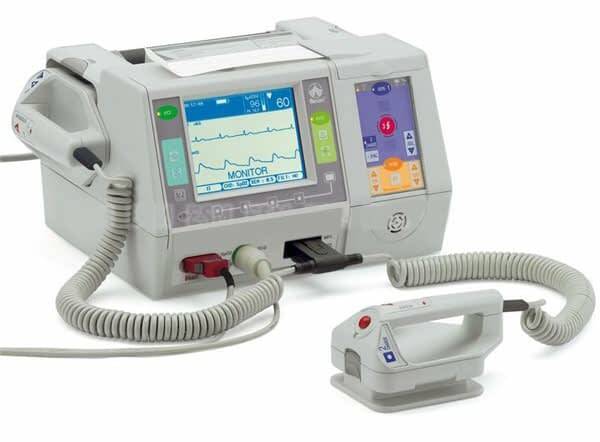 Standard configuration includes: measurement of ECG analysis segment ST, arrhythmias and oxycardiorespirogram, pulse oximetry SpO2, temperature measurement in 2 channels, measuring NIBP, pulse rate and respiratory rate. The package includes monitor accessories for all the above measurements. 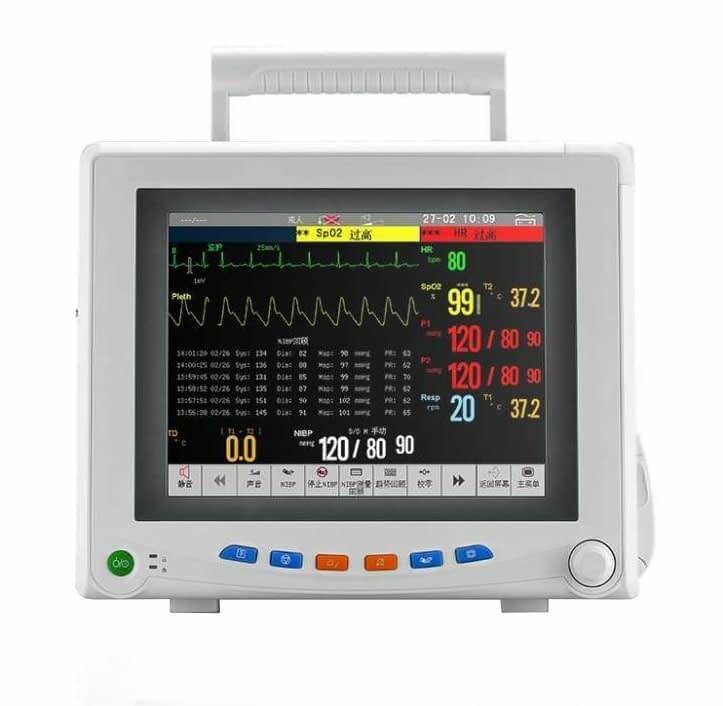 The monitor can be fitted with capnography, measurement of cardiac output and anesthetic gas analyzer, which makes possible to use the device in resuscitation and intensive care, as well as in anesthesia care. As a consequence of the evolutionary development of the monitor Floyd 8000, Floyd 9000 model has a more powerful functionality, memory (1800 events, 1000 NIBP), has a high-capacity battery and a display with wide screen (12.1 inches) and the function of touch-screen. The model Floyd 9000 retains all the advantages of the model Floyd 8000, with only a minimal difference in price. 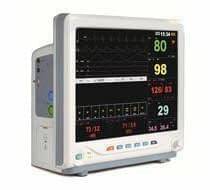 The monitor can be equipped with capnography, measurement of cardiac output, IBP 2 channels, and multi analysis, which makes possible to use the device in resuscitation and intensive care, as well as in anesthesia care. Model Floyd 9500 has the largest in the line diagonal of the display (15 inches) with the function of touch-screen, which allows you to simultaneously display the maximum possible number of measured parameters, a large amount of internal memory (1800 events, 1000 NIBP), high-capacity battery. The model retains flexibility in the choice of additional equipment options.